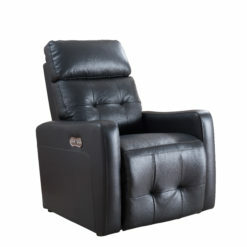 The Felix Collection Contemporary Electric Power Recliner by AC Pacific Furniture. 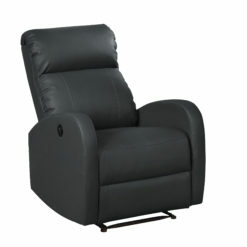 Our Felix reading recliner is not too small nor oversized, its just the right size. 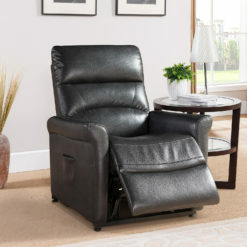 Part of our line of power recliners, this electric reclining chair comes equipped with a push-button and USB charging port for added convenience. The soft polyester fabric is wrapped around a sturdy well-constructed solid wood frame that sits atop a heavy-duty steel mechanism. 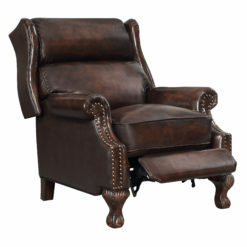 This recliner chair will be the perfect resting place to enjoy a great book, watch TV, get caught up on your emails, check your feeds or get in that power nap. Sit back in comfort. 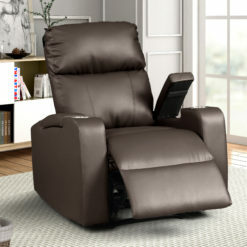 Recline relax, and recharge. 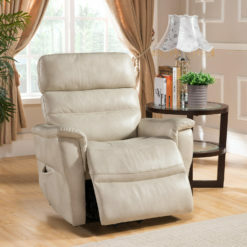 For more styles and products, make sure to check out our entire line of living room furniture. 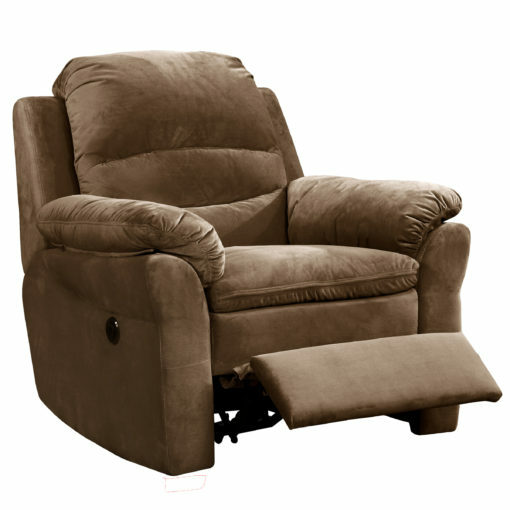 This recliner measures 38″L x 38″W x 40″H and weighs 98lbs to perfectly fit your living room or den. Some assembly is required. 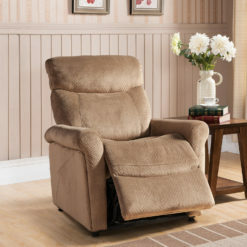 Since starting our Southern California office in 1995, AC Pacific has grown rapidly from a handful of furnishings to hundreds of selections to better accommodate the needs of today’s growing families. 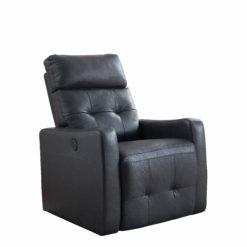 For more styles and products, make sure to check out our entire line of living room furniture.